Do you need a maid? Have you thought about hiring a professional agency to cope with your household chores? Now might be a perfect time to check out our domestic cleaning services in Manchester. We are experienced and reputable cleaners who work within London. We are known for our classy services, competitive prices and attention to detail. We are disciplined and responsible. We have the required expertise. 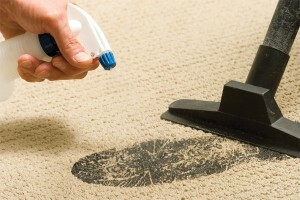 Rest assured your home is being cleaned by qualified experts. Make sure to get a free price quote and set up an appointment as soon as possible. We can’t wait to hear from you. Considering that our teams are very disciplined, courteous and well-trained and that our domestic cleaning program in Manchester is customisable and effective, you should rest assured that your home will be given a first-class clean every time. If you think that arranging for a domestic cleaning service in Manchester takes time, you are wrong. First of all, we offer a few ways in which you can get in touch with us, which means you can do so at any time, even at night. Our call centre is available 24/7 anyway, so whether you send us an email or give us a call, your request will be answered promptly. Keep in mind that your phone call will be answered shortly, whereas we will email you back as soon as we can. Second, we won’t keep you waiting. It will take a few minutes to set up an appointment. We only need a detail or two about your home. We are interested to know what areas you want us to focus on as well as how often we should pay you a visit (in case you order our regular cleaning service) and that’s it. Do not hesitate to contact our call centre. You won’t regret it.